Cleaner clothes. And a cleaner environment. Elite uses the new generation of professional cleaning solvents designed to treat both your fabrics and our planet respectfully. In contrast to perchloroethylene, Elite's solvents are virtually odorless, and are safe for most sensitive fabrics and decorative trims. The products we use help your clothing look good wear after wear, and endure year after year. ​A large majority of us have more hangers in our closets than actual clothes. It is no surprise that these items tend to pile up when one considers the fact that dry cleaners hand out over 3.6 billion hangers to their customers every year. You can easily free up some space and help curb this massive consumption of metal by bringing us your hangers. We will clean them, sort them and most importantly reuse them. 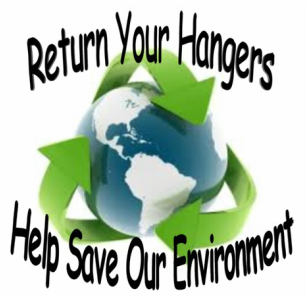 Elite Cleaners will recycle your wire hangers for you so bring your clothes and and drop off your extra hangers!